An engraving based on William Bartram's 1789 drawing of a Creek town. 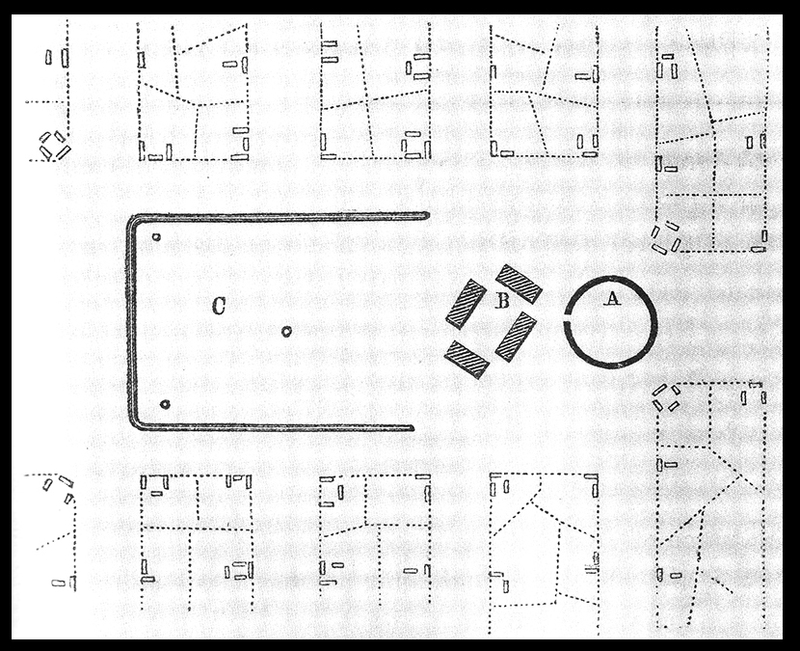 A is the winter council house, often called a rotunda or hot house; B is the town square ground; and C is the field where the men of the town played chunkey, a game of skill popular among southeastern Indians. The other structures represent clusters of households.